Today we will continue our story of Madame White Snake. 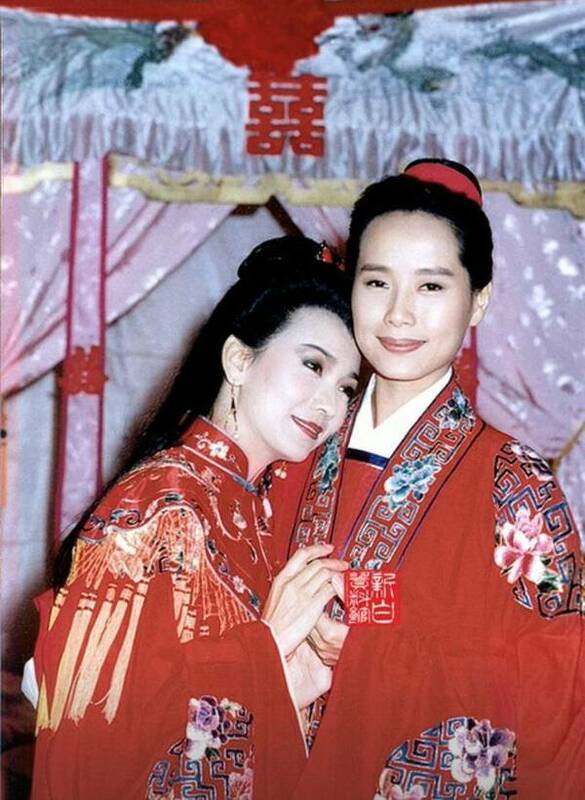 Last time we talked about how Madame White Snake and Xu Xuan met and fell in love. Madame White Snake offered money for their wedding. Not surprisingly, after a couple of days, Xu Xuan was arrested and beaten. He confessed everything that how he met the Madame White Snake and the money was from her. He was escorted to the the house of the Madame White Snake. Unlike a mansion Xu Xuan visited before, it was an old abandoned house with garbage around and a bamboo blocking the gate. The neighbors saw the sheriff investing this abandoned house, saying that, “we never heard about the so called Madame White Snake. The family lived here all died 5~6 years ago. Now it seems like is haunted and nobody dared to step inside except a maniac sometimes sing at the gate a couple days ago.” The sheriff let people help clear the gate. A stinky smell came out. Xu Xuan was too shock to move. An impulsive guy called Wang Er 王二 in the crowd lead the way into the house. Everywhere was covered by dust, When they walked upstairs, opening the bedroom door, a beautiful woman wearing white dress siting on the bed. The crowd were terrified to walk any closer. Somebody shouted, “no offense but we don’t know if you are a goddess or a ghost. We are here to ask you help with the case about Xu Xuan.” The lady didn’t move or talk. The same impulsive guy who led everyone in the house shouted, “why are there any people brave enough to check out? Bring me some alcohol, I will catch her.” He gulped a bottle of liquor and threw the empty bottle towards the bed. Boom! The lady disappeared but a pile of shinning money left on the bed. After counted, it was all the money lost from the government bank. The sheriff called the end of the case and Xu Xuan was sentenced to penal labor for a period of time in another city called SuZhou 苏州. Through bribery by Xu Xuan’s brother in law, Xu Xuan wasn’t sent to the prison but stayed at a hotel for the period of time in SuZhou. He missed Madame White Snake and wondered where she went. He also missed home. After almost half a year, a maid came to the hotel for Xu Xuan. Xu Xuan came out and saw Madame White Snake and her blue dress maid. He felt embarrassed and complained, “you know how much I suffered because the money you stole? Why did you go? Why do you just show up here now?” Madame White Snake said, “please don’t blame me. I will explain to you. Let’s talk inside.” Xu Xuan was panicked, he shouted, “you are a ghost. You are not welcome here.” I mean Xu Xuan missed her for sure and it is understandable that he was afraid and alert after all that bazaar experiences. She said, “how can I be a ghost if I have a shadow under the sun. I was blamed for what my past husband’s behavior. It was not my fault. I don’t want you misunderstand me. I will leave after I explain everything.” The host of the hotel invited her inside to talk with Xu Xuan. Madame White Snake said, “my husband left me the money after he passed away and I offered it to you. I have no idea where the money is from.” Xu Xuan was suspicious and asked, “how do you explain your mansion became an abandoned house? How do you explain that you disappeared from the bed in front of the crowd?” She explained, “I already heard you were arrested because of the money. I was scared to be involved and I was hiding in my aunt’s house before the officials arrival. The neighbors were covering for me by saying the lies about the house. ” Xu Xuan seemed believed her and said, “you were safe however I was sentenced to prison.” Madame White Snake said, “I left the money on bed and assumed you would be fine. I didn’t expect they still thought you were guilty. Now I explained all and I will leave since it looks like we can’t get married anyway.” The host of the hotel saw this situations and tried to convince them to stay together. With the help of the host, they finally got married on the 11th day of the 11th month. They had a pleasant few months after the wedding. The next day, after dressing up, Madame White Snake followed Xu Xuan to the temple where they saw a monk was surrounded by people who were waiting for the amulets. Madame White Snake walked straight to the monk and spoke loudly. “how ungraceful! A monk was talking some nonsense to my husband that I was a ghost.” The monk replied, “I am just doing the right way. Whatever the ghost is would reveal the real shape after eating my amulet.” Madame White Snake said, “fine. In front of everyone here who are the witness, I will eat your amulet now.” The monk then handed one to her. Nothing happened afterwards. The witnesses all said , “why would you say this lady a ghost?” Madame White Snake said, “I learned some tricks as a kid. Now I will try it with this monk.” Accordingly, she was murmuring something. People looked up, the monk was curled into a ball and floating in the air as somebody was holding him. “Thank you for everyone’s help.” She blew some air and the monk landed on the ground. Xu Xuan was shocked the whole time. The couple’s life was back to normal. All the expenses of the household was from the Madame White Snake. They had another pleasant few months. What will happen? We will continue in our episode.